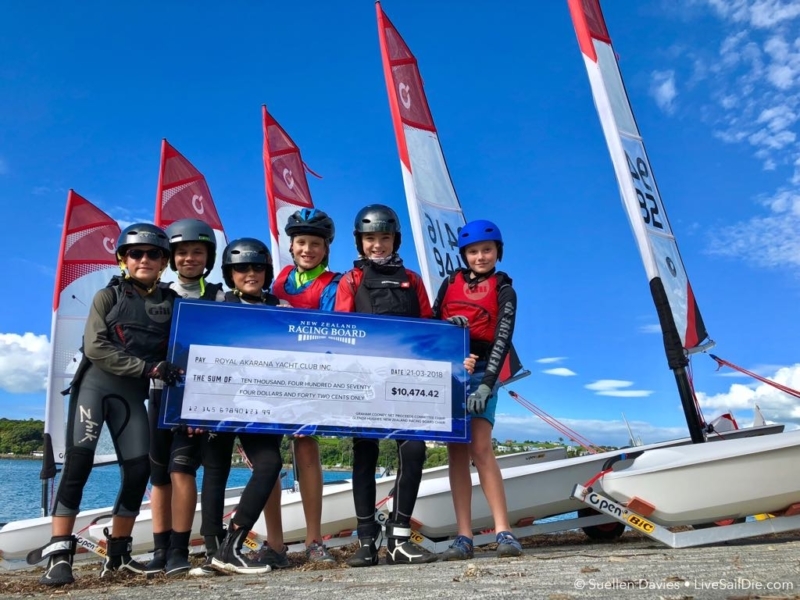 The young sailors who advantage from the purchase of the new O’pen Bic’s for the Akarana Sailing Academy took delight in holding the novelty sized contribution cheque. 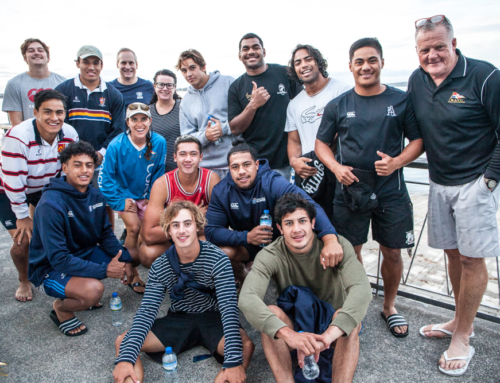 The New Zealand Racing Board donated funds that went towards the overall purchase of the new boats, enabling the Akarana Sailing Academy to become a world leader in learn to sail and learn to race classes. The Akarana Sailing Academy was established in 2001 and since then has created national and world champions. 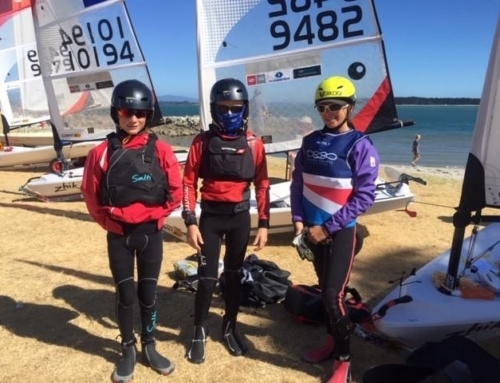 Classes for Term 2 are now open with courses available in the O’pen Bic, Optimist, Feva and Platu keelboat. School Holidays will also be a busy time with O’pen Bic Sailing and Racing week long programs as well as our popular Sail & Play course.